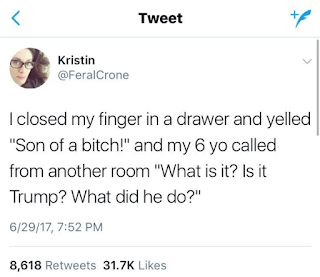 A couple of weeks ago, my daughter asked me to help her with her homework. She needed help with a project on Antisemitism. 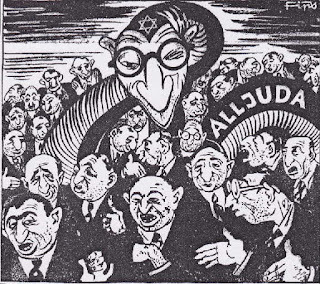 The assignment was to take 4 cartoons -- 2 antisemitic cartoons from the Nazi era and 2 current anti-Israel/antisemitic cartoons -- and compare them..
She wanted my help to find them. The first two cartoons were easy to find online. Der Stürmer cartoons are easy enough to find. 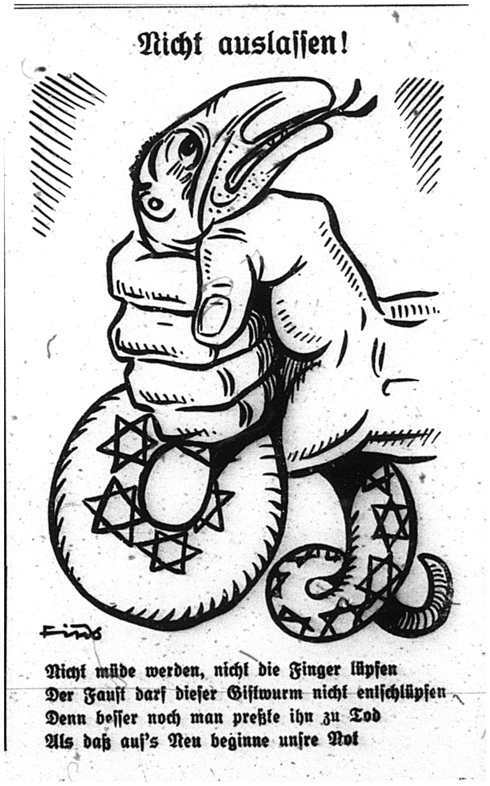 Caption (not shown): “The Jew’s symbol is a worm, not without reason. With the possible exception of al-Qaeda, Palestinian terrorism—which pioneered the use of plane hijackings, airport attacks, and suicide bombings—has perhaps done more to force the introduction of metal detectors into our daily lives than just about any other cause. While plane hijackings in the 1970's were just as easily associated with Cuba as with the Palestinian Arabs, it was the latter that pushed the US to increase security on airplanes. US bipartisan support for Israel -- when and how did that start? 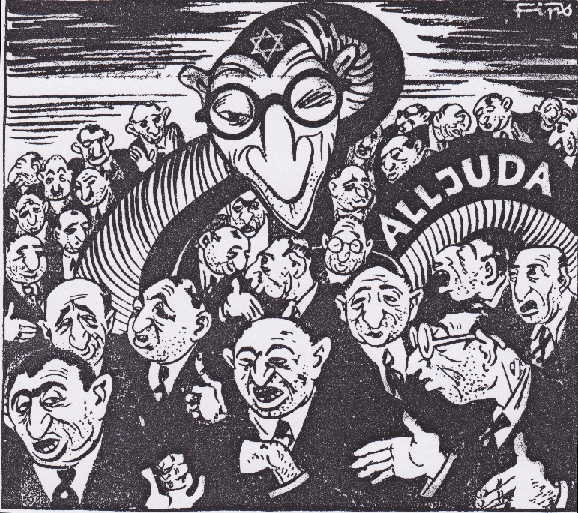 Apparently, the birth of that bipartisan support for Israel came about during the term of Franklin Delano Roosevelt, despite FDR's antagonism towards Zionism. 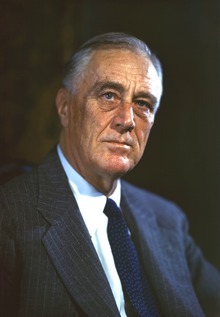 FDR. Photo by Leon A. Perski, 1944. And a lot of the credit seems to be due to Netanyahu. Just What Were The Jews Doing in Then-Palestine Before The Balfour Declaration? Thursday is the 100th anniversary of the Balfour Declaration, yet after 100 years people still argue over it and Abbas is still asking Great Britain for an apology. What did the Balfour Declaration actually do? And what did the Balfour Declaration recognize? The second question is no more settled than the first, but gives a surprising answer. On May 8, 2001, Koby Mandell, a 13 year old Israeli with American citizenship and 14 year old Yosef Ishran, were killed on the outskirts of Tekoa where their families lived. Though the actual identities of the murderers was never determined, the Israeli government determined that Palestinian terrorists were responsible. Their murders led to Congressional legislation strengthening the US response to the killing of Americans overseas. But it was not easy. Carter favored the Arabs, and even today shows a clear bias against Israel. George W. Bush tried to be more even-handed, and during his 8-year term never invited Arafat to the White House -- unlike his predecessor, Bill Clinton. Obama showed a clear bias towards the Arabs. His first trip was to address the Arab world from Cairo. We know that historically, there has never been a sovereign, Palestinian state. But if there has never been a state, a country, called Palestine -- then what did the Arabs call themselves when that territory was under Muslim rule? After it saw the potential in attacking Trump for alleged ties to Russia, the media apparently dropped the "Trump encourages antisemitism!" meme and decided to pursue a more promising line of attack. Why Did AP Censor Letter from Father Whose Son Was Murdered by Jordanian? 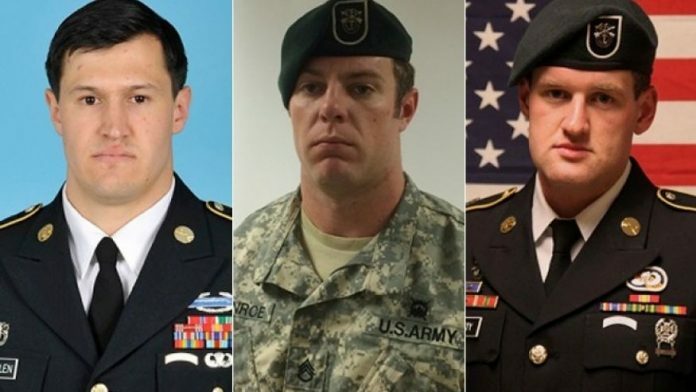 Just last week, the ordeal of the parents of 3 Green Berets who were murdered last year by a Jordanian soldier came to an end. 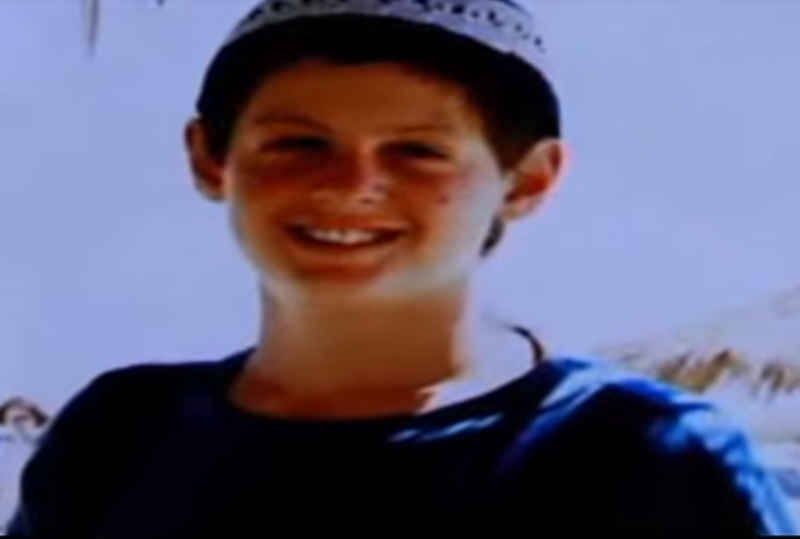 M'aarek Abu Tayeh was convicted of murder by a Jordanian court and sentenced to life in prison. Staff Sgt. Matthew C. Lewellen, Staff Sgt. Kevin J. McEnroe, Staff Sgt. James F. Moriarty. 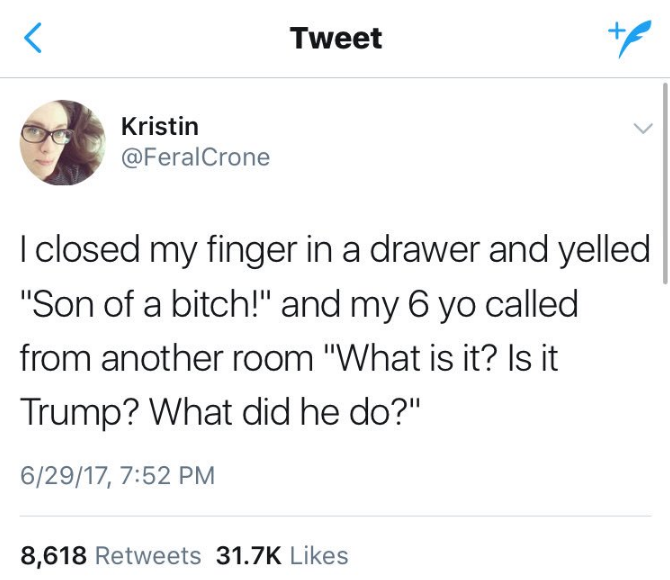 But the parents are not finished. Now that the smoke has cleared, we can see that Secretary of State Tillerson was wrong. His announcement that Abbas agreed to end stipends to imprisoned Palestinian terrorists was greeted with scepticism from the start. 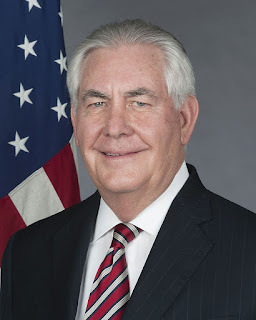 While on Tuesday Tillerson claimed the Palestinian Authority "changed their policy" about terrorist salaries, just a day later he had changed his tune and said instead there were "active discussions" and made reference to vague "assurances" given to Trump during his visit in Israel. Similarly, on June 5 it seemed that Abbas had cut off salaries to Hamas. It could be that Abbas was referring to those cuts when he spoke to Trump, but there too, Hamas ended up getting their salaries. In any case, the payment terrorist salaries -- and the anti-Israel incitement caused by rewarding attacks on Jews -- continues. But just how long have Palestinian terrorists been receiving these stipends? On November 4, 2016, 3 US soldiers - Staff Sgt. Matthew Lewellen, Staff Sgt. Kevin McEnroe and Staff Sgt. James Moriarty died after coming under fire from a Jordanian soldier as they were entering a Jordanian military base. On November 17, Eric Barbee, spokesman for US Embassy in Jordan, issued a short statement, reflecting the possibility of a terrorist motive on the one hand, and the rumors being spread that the soldiers themselves had accidentally brought the incident upon themselves. Someone Should Tell Hamas -- And The UN -- That There Is No Legal Right To Destroy Israel "By All Means Necessary"
Resisting the occupation with all means and methods is a legitimate right guaranteed by divine laws and by international norms and laws. At the heart of these lies armed resistance, which is regarded as the strategic choice for protecting the principles and the rights of the Palestinian people. This is actually something new for Hamas that is not found in the actual Hamas Covenant. As of Friday, January 20, we have a new president -- President Donald Trump. Comparisons have been made between Trump and Obama, and we can expect many more comparisons to be made over the next four years. One of those comparisons is in connection with Israel. Obama allowed passage of United Nations Security Council Resolution 2334, calling the settlements illegal and putting renewed pressure on Israel. Now along comes Trump, who has promised -- and has reiterated his intention to keep that promise -- to move the US embassy from Tel Aviv to Jerusalem. Yet both claim to be friends of Israel. "[T]housands of new settlements are being constructed...you saw tens of thousands of settlements being constructed"
On December 23rd, United Nations Security Council Resolution 2344 was passed 14-0 with one abstension -- the United States. One of the key points of that resolution was the clear declaration that Israeli settlements are illegal. Not "illegitimate", as per US policy in the past, but "illegal". The settlements were described as an impediment to peace that must be removed. Are There Tens of Thousands of Israeli Settlements... Or 228? That same day, Ben Rhodes, the White House deputy security advisor, gave an interview to Judy Woodruff. Most of the outlets are reporting on world events from Washington. The average reporter we talk to is 27 years old, and their only reporting experience consists of being around political campaigns. That’s a sea change. They literally know nothing...We created an echo chamber...They [the seemingly independent experts] were saying things that validated what we had given them to say.